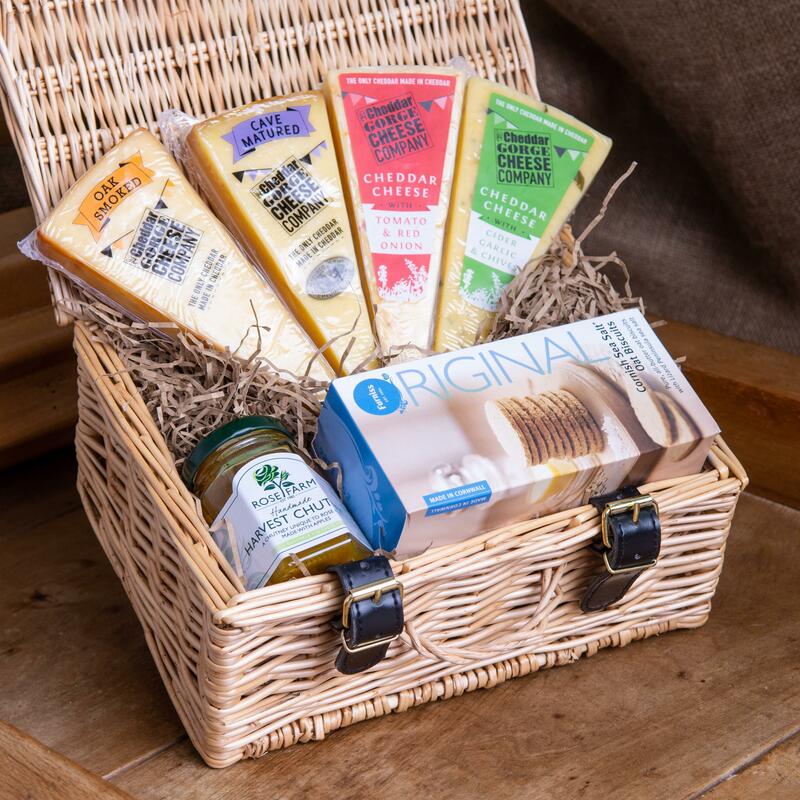 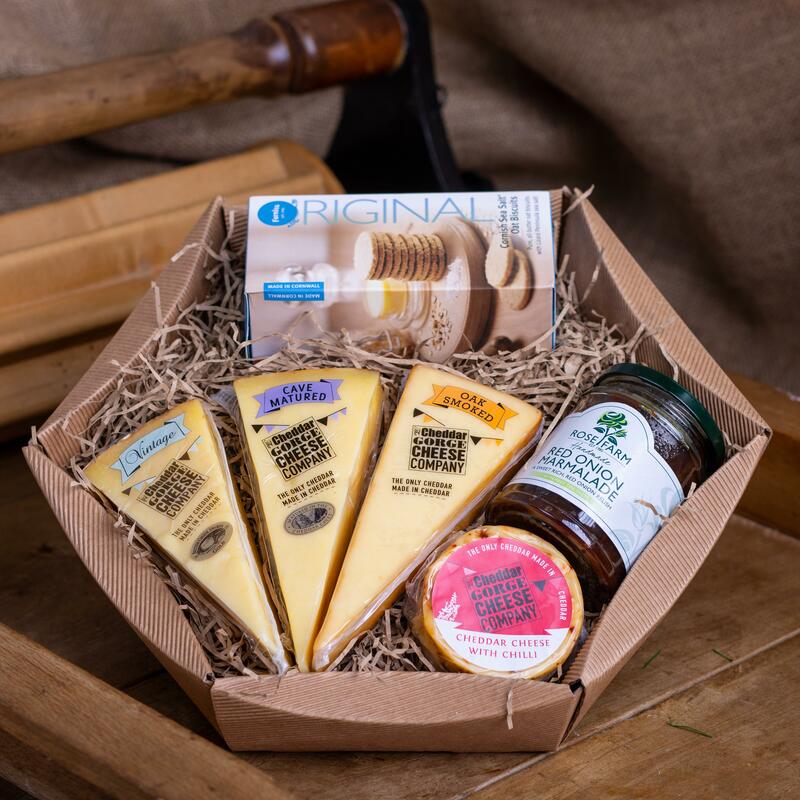 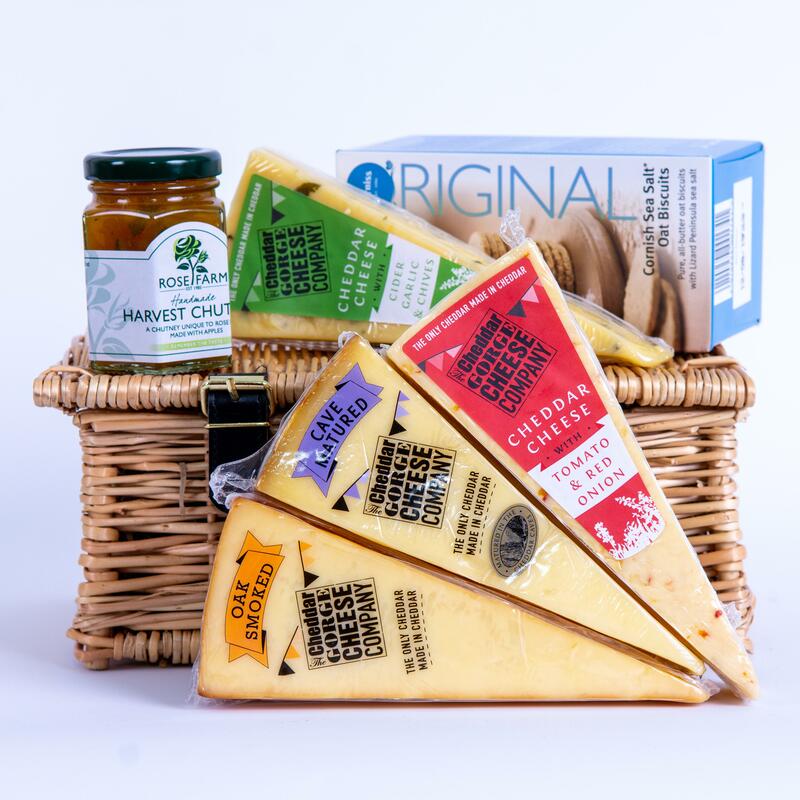 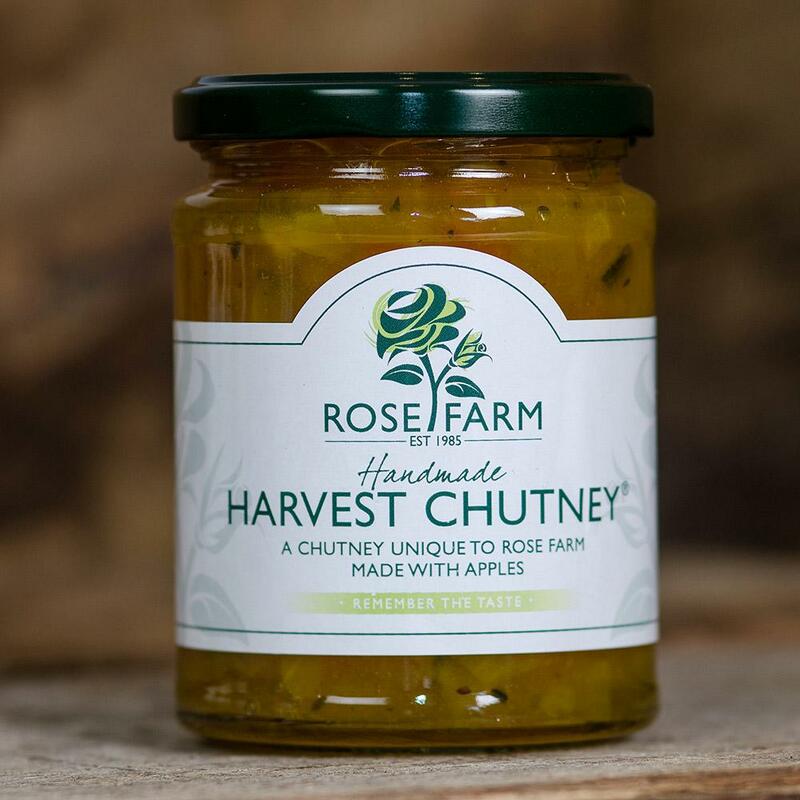 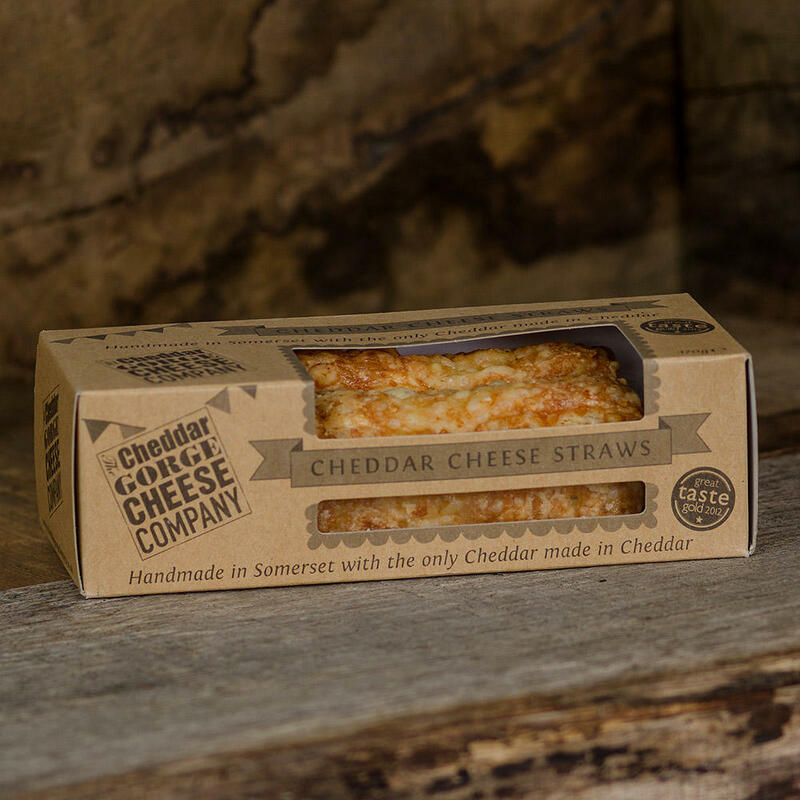 This selected version contains four 190g portions of cheddar cheese Cave Matured, Cheddar with Cider, Garlic & Chives, Oak Smoked and Cheddar with Tomato and Red Onion] plus a jar of locally made Harvest Chutney, and a box of Cornish-made Furniss Original Sea Salt Oat Biscuits. 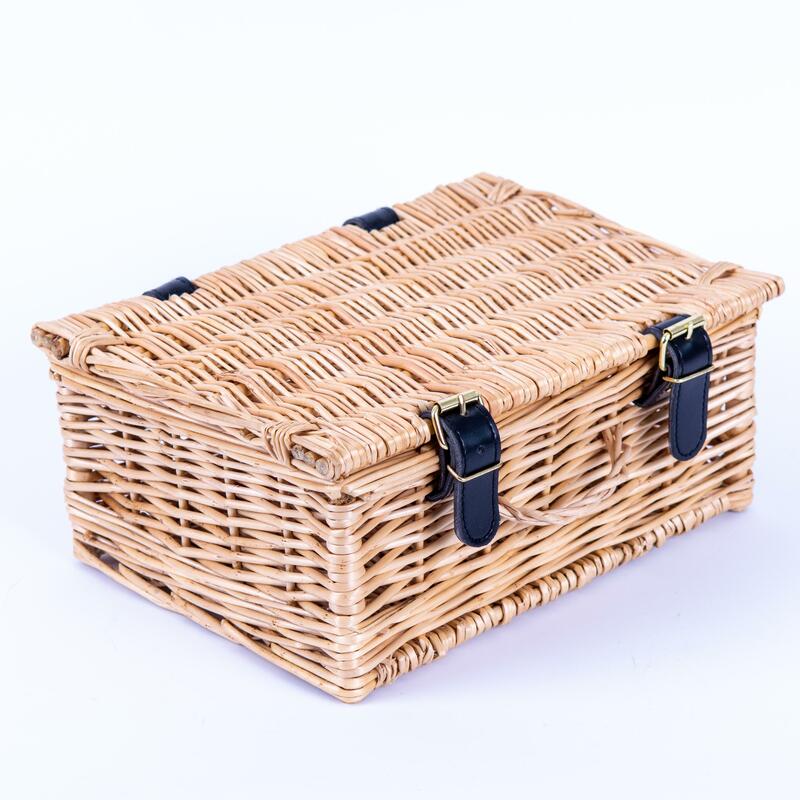 Presented in a Wicker Hamper. 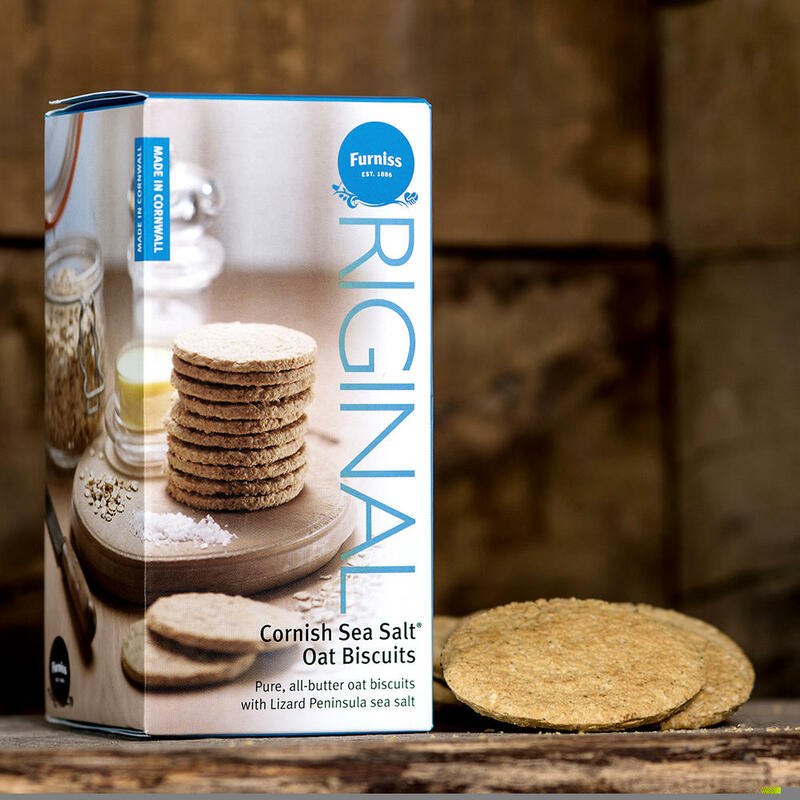 Furniss Original Cornish Sea Salt Oat Biscuits: Wheat, Butter (Milk), may also contain nuts.